Pipeline on the Louisiana Gulf Coast. Michelle Cook on left. 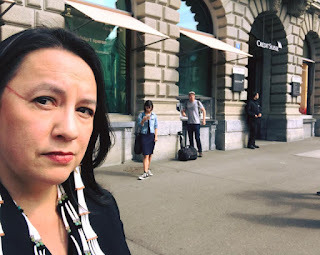 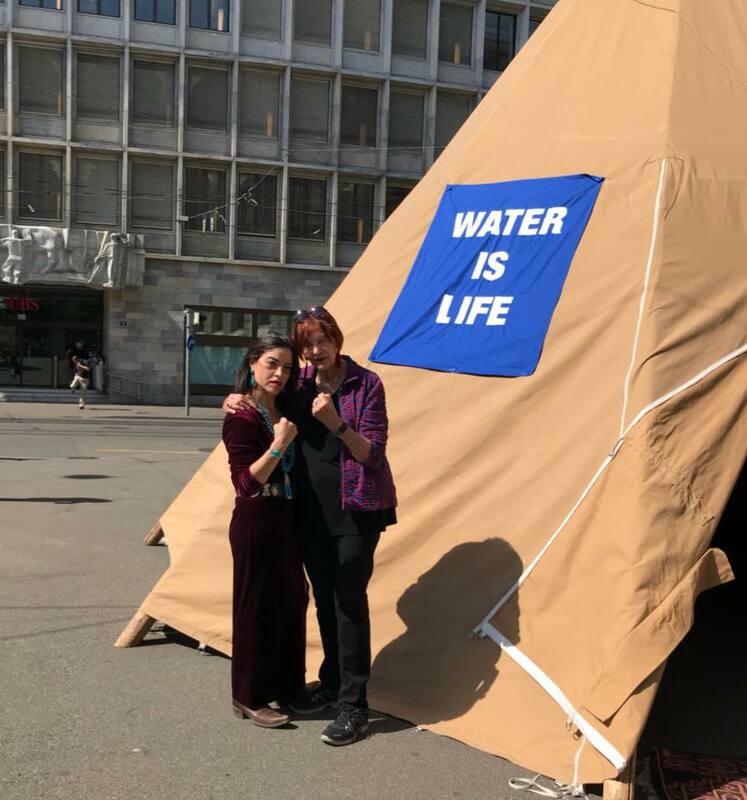 "Indigenous Women’s Delegation - holding Suisse and German financial institutions accountable for their investments in unethical corporations and projects such as Energy Transfer Partners, Dakota Access Pipeline, Bayou Bridge Pipeline, Transmountain pipeline expansion project, and Kinder Morgan." 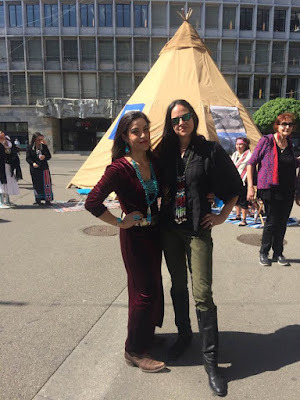 Sara Juanita Jumping Eagle. 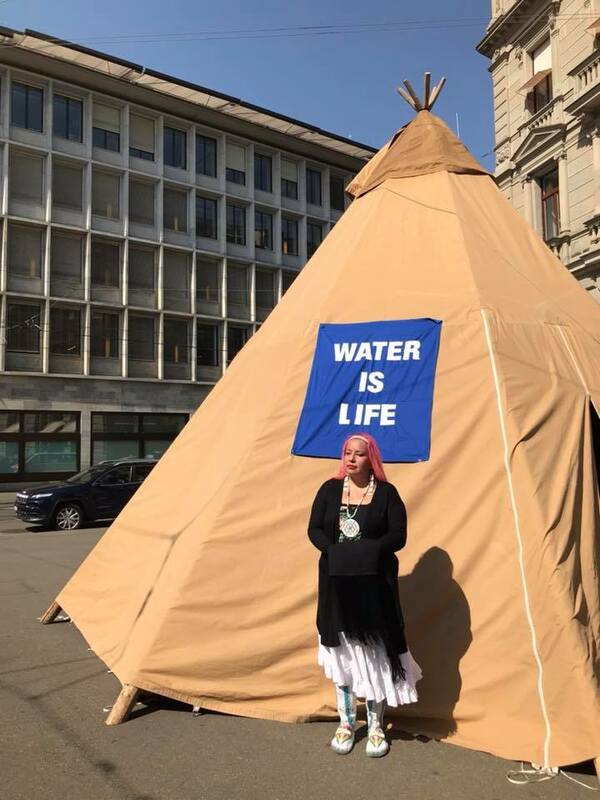 Waste Win Young, Dakota of Standing Rock, said, "Zürich and Bern today. 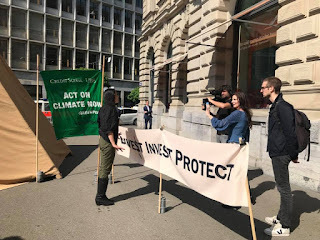 Had an action in front of CreditSuisse with Greenpeace. 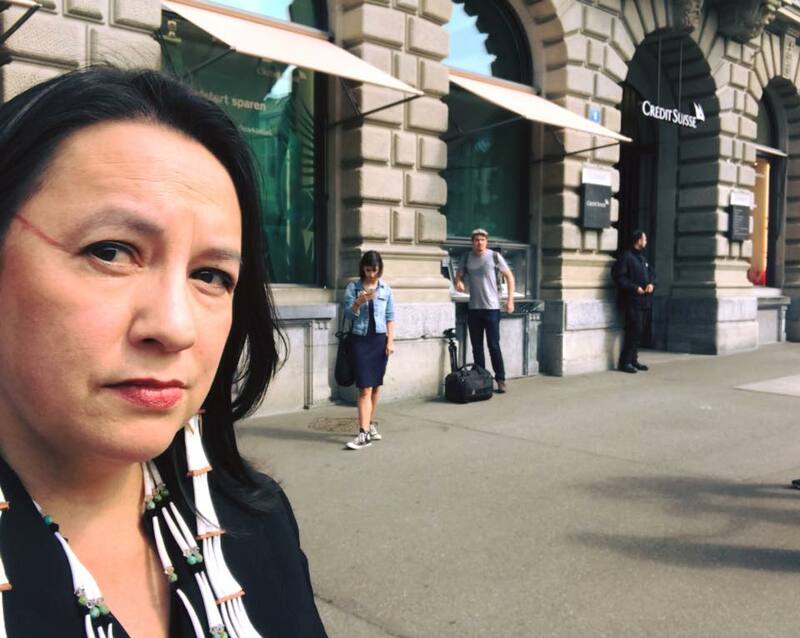 We met with the ministry of foreign affairs and the ministry of labor and economics in Bern. 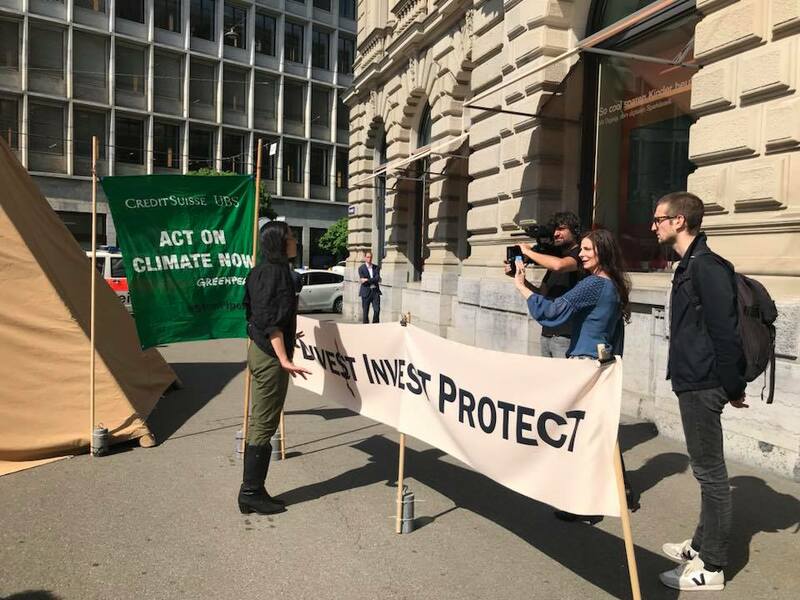 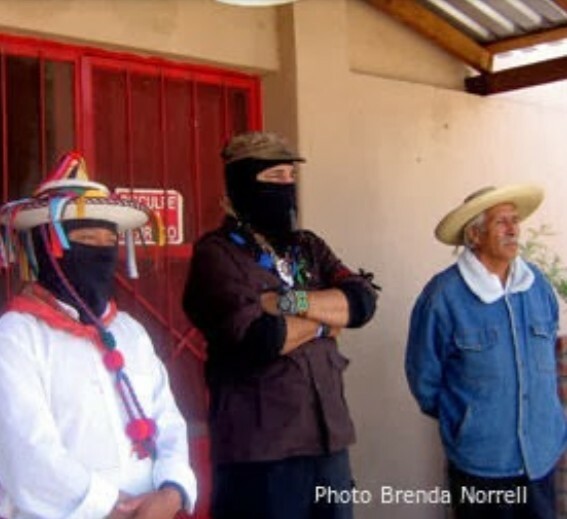 Swiss financial institutions are investing millions of dollars in fossil fuel projects worldwide with companies who are committing indigenous and human rights abuses. 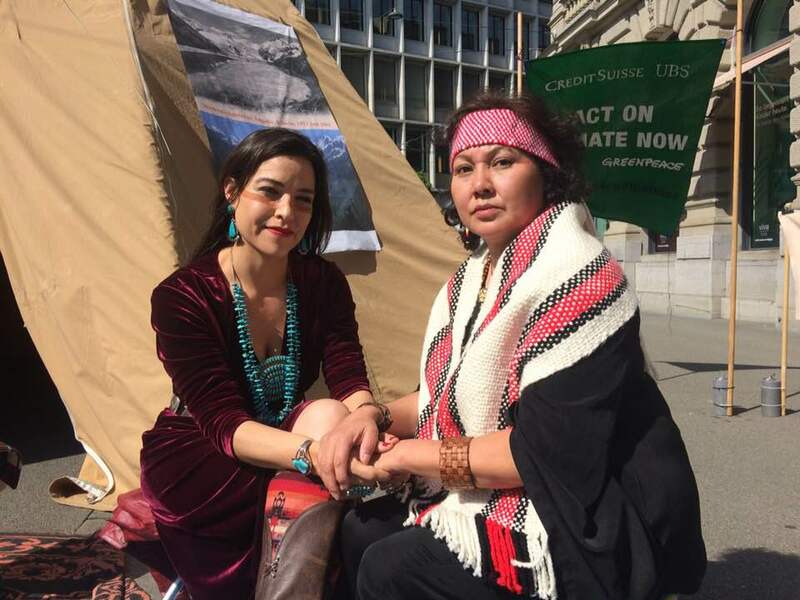 Their quality of life comes at the expense of our communities and our sacred places." 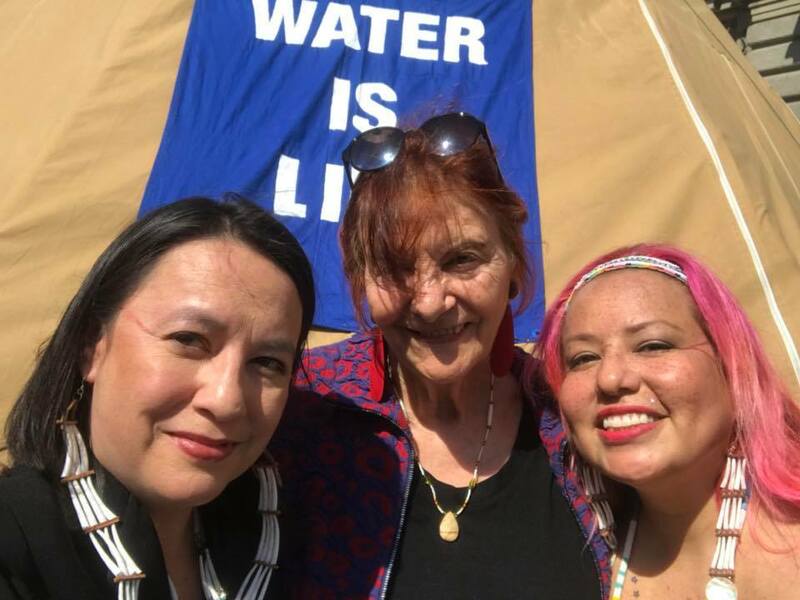 WECAN Spring 2018 Indigenous Women’s Divestment Delegates comprise both frontline community leaders, and tribal officials who serve or have served in official capacities for their Tribal Nations, including - Charlene Aleck (Elected councillor for Tsleil Waututh Nation, Sacred Trust Initiative, Canada); Dr. Sara Jumping Eagle (Oglala Lakota and Mdewakantonwan Dakota pediatrician, living and working on the Standing Rock Reservation, North Dakota); Michelle Cook (Diné/Navajo, human rights lawyer); Wasté Win Yellowlodge Young (Ihunktowanna/Hunkpapa of the Standing Rock Sioux Tribe, Former Tribal Historic Preservation Officer); and Monique Verdin (Member of south Louisiana’s United Houma Nation Tribal Council and the Another Gulf Is Possible Collaborative) - with Osprey Orielle Lake (WECAN International Executive Director and Delegation organizer).